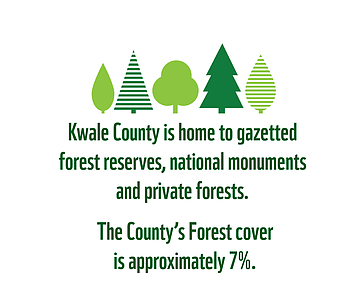 Kwale County is experiencing rapid large-scale economic developments that have potential of impacting negatively on natural resources such as forests if not undertaken sustainably. 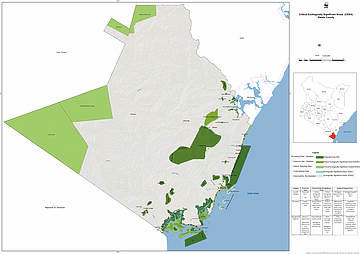 ULTIMATELY…Our Intention is that by 2022, critical forest and mangrove ecosystems in Kwale County are secured for biodiversity conservation and sustainable use, while improved safeguards are in place to protect them against impacts from new large-scale economic developments. The project will contribute to the achievement of a number of goals and objectives of the international plan for Biodiversity 2011-2010 of the Convention on Biological Diversity (CBD, Aichi Targets) & The Sustainable Development Goals (SDGs). 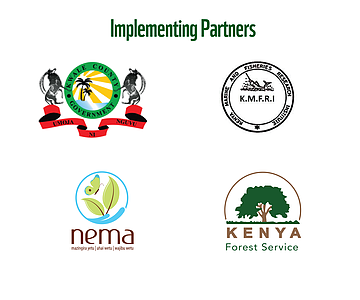 The Kwale International Sugar Company (KISCOL) will be sensitized on sustainable water management and promote water stewardship mechanisms in partnership with other players.